Looking for cost-effective and reliable electronic security solutions in London? Firstly, SFM UK Ltd is an experienced in providing electronic security solutions in London. Such as alarm systems and CCTV to combat crime from within the building. As well as protecting the property from the outside. Furthermore, we take a strategic approach to the design, supply, installation and maintenance of our electronic security solutions for your total businesses protection. Guarding your business premises with SFM will give you total peace of mind. Not sure what your business requires? We’re also happy to offer advice and consultations on all areas of our security systems. Call and speak to one of our security specialists today on FREEPHONE 0800 8100946 or 0203 405 4710. 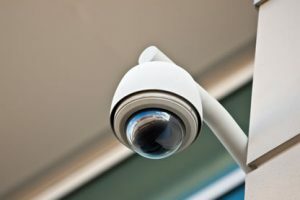 Secondly, we are also committed to achieving a safe and secure environment for your employees and visitors, whilst providing protection for your information and property through the use of electronic security solutions. Furthermore, we’ll work closely with you to create a bespoke and cost effective package that fits your requirements. No matter the size of your business. You can rest easy when working in partnership with our team. A professional service met with total satisfaction. Also, our highly experienced team provide fully integrated electronic security solutions and services. Both cutting edge and user-friendly. We also understand that security needs and requirements change on a daily basis. Because of this, we keep up to date with all current suppliers’ information on new equipment. Want to find out more about our electronic security solutions in London? Get peace of mind for your business. Speak to one of our security specialists to create your own tailor-made electronic security solution.